Planned maintenance (PM) refers to a scheduled job that is performed on a specific asset at a specific time interval to prevent unscheduled downtime or breakdowns in the future. The perfect example of scheduled maintenance is the annual service on your car. You pay your mechanic to complete a specific set of tasks to ensure your vehicle continues to run smoothly. By replacing the oil in your engine, the service also reduces the chances the engine seizes, saving you money in the long run. However, as humans tend to forget things, many organizations use a scheduled maintenance tracker to efficiently track any preventive maintenance or inspections that occur at regular intervals. 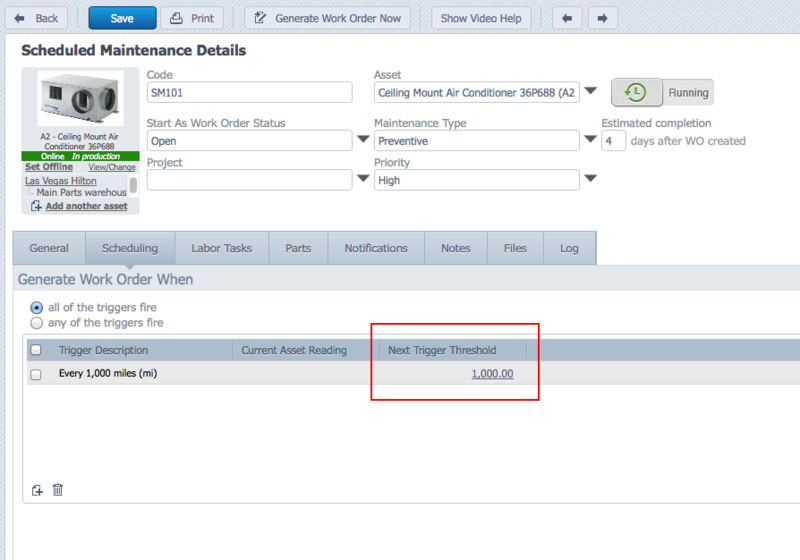 A scheduled maintenance tracker is a standard feature in many CMMS packages. Commonly, the schedule could be time, event or meter-based. There are two configurations for these triggers and Fiix has both. They are fixed schedule type or float schedule type. For a time-based schedule (eg. every week), a fixed schedule type means the preventive maintenance occurs as the schedule dictates, irrespective of when the last PM was completed. The interval is fixed. For example, a PM due every week on Sunday is triggered every week on Sunday regardless. Fixed schedules help you plan work based on the target start date of the previous work. Fixed time interval maintenance PMs are generally used for regulatory compliance. You can easily tell how many PMs are missed. For organizations with a large amounts of PMs, fixed intervals help you spread out PMs evenly and plan resources. For example, you could block book a subset of your technicians for X hours per day to focus on PMs. Fixed are suited to shorter intervals – daily and weekly maintenance PMs. They encourage PM compliance. If technicians have the luxury of pushing PMs out, they will postpone them and focus on reactive repairs. This will kill your PM compliance. Float maintenance scheduling type means the interval moves depending on when the last PM was created. The most obvious example of this is the annual service on a car. If it is pushed by 2 months, the next is scheduled 12 months from that point. But what happens if you do not complete one task in the PM and leave it open? Then your next PM will never be created. Floating Maintenance PMs require that little bit of extra diligence to police. Float PMs are ideal for PMs that are spread further apart. A few extra days won’t cause any major damage! Floating type intervals are ideal for low priority mundane PMs tasks that need to be completed on a regular basis but not necessarily on time. For example, checking drains for any signs of buildups that could cause blockages. They are also ideal for situations where late PMs will not affect the safety of the equipment or personnel that operate it. Let’s examine how float maintenance scheduling affects a meter reading based on scheduled maintenance. Again, the work order is triggered at 1200 miles. The question is, given that we selected “floating schedule” type, when will the next work order be triggered. As you might have guessed, this time it’s not until 2200 miles (or greater). If I enter a reading of 2100 miles, nothing will happen. The next trigger point has been pushed out because the previous work order was triggered at 1200 miles, instead of the intended 1000 miles.